Update from Lionel (January 15, 2011): I know on he #dellstreak hashtag and many other places on the web, many customers are asking when the update is going to happen. At this point, we continue to work with AT&T. The Froyo upgrade will not happen in January for US customers with SIM-locked Streaks. When we have more details to share on this topic, I will. Since we launched the Dell Streak back in May 2010, one of the biggest requests from our customers was to upgrade to Android 2.2. If you look at the conversations using the #dellstreak hashtag, it’s pretty easy to see that the over-the-air (OTA) upgrade is one of the most common discussions. You may have seen some chatter about this on sites like StreakSmart. The day has come. Since there are a lot of details to share, I’ve segmented out the information below. The Streak Froyo Update will be completed in two phases for existing Streak customers. Phase 1 : Beginning today, Monday, November 15, 2010, an OTA update will be available to customers who purchased their Streaks as unlocked units. These units will be upgraded first because they do not have to go through the carrier approval process. Unlocked units are generally popular outside the United States and can be identified by the fact they are able to be used with a SIM card from any carrier network. The rollout of the upgrade will be gradual with different regions and versions of Donut and Éclair updated over the weeks following November 15, 2010. 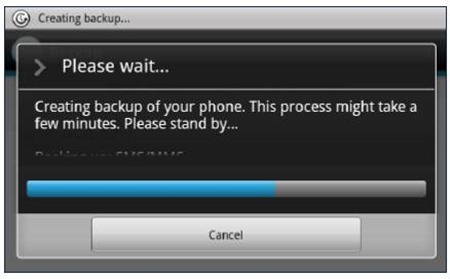 When a user’s device is ready for an update, the user will be notified by an update icon in the notification bar after a power up. A user can also manually check for an update by going to Settings – About Device and selecting System Updates. Devices ready for update will then be taken through the update process. Update: We have begun rolling out the OTA update slowly this week. We'll be continuing the Phase I rollout on a broader scale next week. Phase 2: Starting later in December, users on devices locked to a specific carrier (i.e. you can only use your carrier’s SIM in the device) will start seeing updates as we work with our carrier partners for technical approval. 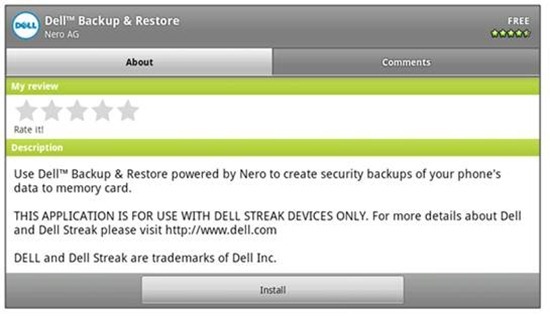 Dell Streaks will receive an Over-the-Air (OTA) update which will appear in the form of a notification page. Although you will receive the notification while connected via Wi-Fi OR over a mobile connection, it is highly recommended that you switch over to a Wi-Fi connection during the actual update. 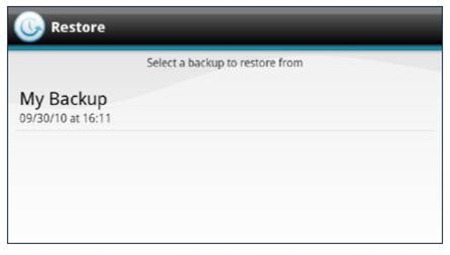 After reviewing the instructions for backing up your Streak data, click on the green “Download & Backup” button to retrieve the Dell Backup & Restore app. On the next screen, click on the “Install” button. 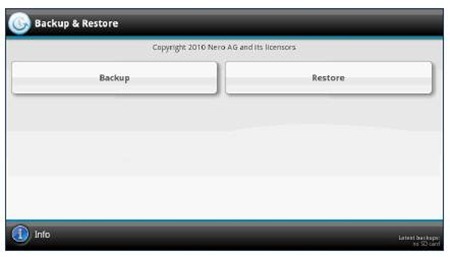 After downloading and installing the Dell Backup & Restore app from Android Market, touch the Open button from the install complete screen. After you backup your data, there will be a few more informational screens which outline some of the Froyo update changes. Then you will prompted to connect to a WiFi Network and start the update by clicking the Red “Download & Install” button. PLEASE NOTE: If you click on the Green “Connect to WiFi Network” button, you will be re-directed to a page that provides instructions on how to accomplish this. Do not click this Green button if you are already connected via WiFi. 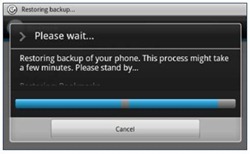 Once the update is downloaded and ready to install, you will see the following window. 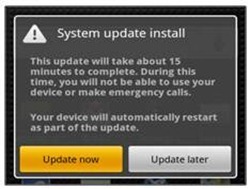 Click on the “Update Now” button if you are fully charged or plugged into a charger, connected to WiFi and prepared to dedicate approximately 15 minutes for the update. 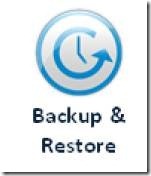 After completing the software update, find the “Backup & Restore” app in the menu. 1. Run Backup & Restore app. One of the changes following the 2.2 Update is that the Dell PC Suite will no longer be supported. 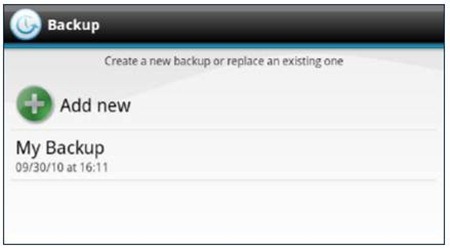 The Dell Mobile Sync software will be the new version of Streak sync software and must be downloaded from the Dell support web site. Use Dell Mobile Sync powered by Nero to manage & sync your media & Outlook contacts with your PC. The new Dell Stage Interface, which is a set of widgets that brings your data and content such as music, photos, and email to your fingertips. If you haven't seen Stage, take a look at this post from Jenn K. Lee over at StreakSmart. What Should I Do if I Have Problems with the Update? For US customers, call the Dell Mobility Queue at 1-800-308-3355, select Technical Support from the menu and enter your Mobile Device Express Service Code. In the UK, call 0844 444 3244. In France, appelez le 09 69 39 00 31. In Germany, telefon 069 979 2 3840. You can also utilize the Dell Community Forum – Mobile Devices board to engage other Streak owners who may have tips or solutions for specific questions or issues. Thank you to all of the early adopters and supporters of the Dell Streak. We appreciate your continued feedback and look forward to hearing your thoughts on the update. 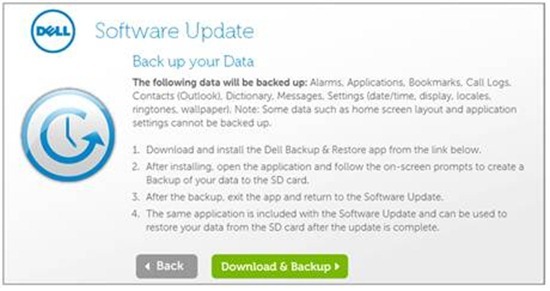 It says – no update for me yet…I'm a direct dell customer (purchased a sim free streak from dell UK website). Any idea, about when I'll get my update. Badly waiting for it. Still no sign of an update on my Streak, and given the time, I assume there's not actually going to be one today then, at least not in time to do anything useful with it this evening. On the bright side, if it turns up before tomorrow evening then I'll get to see how smoothly the update goes for other people before trying it myself. I would love to buy a Dell Streak, it just came to Canada, with Rogers. But no one at Rogers knew that it would get 2.2. One store rep. said no it wont. So, this is exciting new but will 2.2 come to Canada when the US get theirs or will the TAB be the Rogers 2.2 Device. I bought my streak in Australia through Optus network. However, the phone was not locked to Optus network and I'm using 3 mobile sim card now. I tried Froyo upgrade through 'settings->About device->System updates' but got a message that no update is currently available. Do you know when froyo upgrade will be available in Australia? Or is there another way to upgrade to Froyo? Look forward to your reply. This is great news Amy! One question, if we purchased an unlocked US Streak (as "unlocked US Streaks are initially set for use with ATT), do we still get the update starting today? So AT&T customers have to wait until December to get any froyo goodnews? Nice!! Guess it's good that I have been using Stephen Hydes V1.2 for that last week and will continue to. All directions can be found at android.modaco.com! Question: I have an unlocked Streak running Android 2.1 (o2 UK one). Will I be able to get the update for 2.2 today or will I have to downgrade back to the original 1.6 ROM to be eligible? I'm not sure what's meant by an "unlocked unit". Dell say: "Unlocked units are generally popular outside the United States and can be identified by the fact they are able to be used with a SIM card from any carrier network." I got my Streak in the UK, free with an O2 contract. Is my Streak "unlocked" or not? I think I could put a different SIM into it, so is does that make it unlocked? Good news. Any ideas on what time it will be available? Just checked and there's no update available yet, though the working day is pretty much over. Hopefully it's not too late this evening when it's let out into the wild. I'm collecting some FAQs on the Dell Community Forum – Mobile Devices board. Feel free to join the conversation there. So UK customers who bought their Streak from Dell get the Android 2.2 update today. But all the early adopters got it from Carphone Warehouse on an O2 contract, and now we're told that those customers will have to wait until Christmas because Dell hasn't made arrangements with O2 for the update. Another knife in the back for the most loyal customers. I agree with Dovedale. Although happy that the update is imminent I am very disappointed that those of us who 'upgraded' to the massively flawed O2/Dell version of 2.1 now have to wait longer than anyone else for the fix! Sort it out Dell!! the only question: will this version of Android properly support exchange activesync? mpwox11 – It was possible to buy a locked but not subsidized phone from O2. When I first tried to buy a Streak, I tried to get it from O2 but fortunately got them to check first that it wasn't locked. It was, so I went to Dell. I think imouse is complaining that he bought it outright (i.e., not subsidized), but it's still locked. In this case you get all the disadvantages of a locked phone, but none of the advantages (cheaper upfront cost). AmyB – I bought my Streak from the Dell website without a carrier plan. Is my phone considered an 'unlocked' unit? I paid the full price for my streak from o2 because of dells ridiculous exclusivity deal it was the only place it could be bought from. Dell put us in this position they should be doing everything possible to ensure the early adopters are not treated as second class citizens. If the o2 2.2 upgrade is delayed or worse screwed up like the 2.1 I will expect Dell to provide a rom to debrand my streak and load the standard 2.2 build. I also have a Streak on the Optus Australia Network and I have checked for updates to no avail. The handset is not locked to any network. Could you please tell us when the rollout might hit Oz users? Will the update be simultaneous in India as well? I am an admin of the French forum dedicated to Streak (streak.forumgratuit.fr), and many of our members are awaiting the update since we read your article (baseband 00, Roma 6267, unlocked). Can you give us more details about this update and the availability in France? Has anybody got the update yet? imouse – If you purchased your Streak from O2 or Carphone Warehouse, then it is still a locked phone and therefore you'll get the 'O2' update later. You should have purchased it from Dell to get the unlocked version. It's not Dell's fault. All network operators do the same to all their phones. If they subsidise them, you can understand why they want them locked to their own network. so if this update started on monday how come no one has it yet !!! dell really are not doing theirselve's any favours, All i can see is bad press and unhappy customers who are wishing they had spent their hard earned cash elsewhere, ie with samsung or someone like. unhappy streak owner…. en.community must have known I was originally coming to complain because it has taken almost three days to get my community access to allow me in… I wouldn't go so far as to call this bad news more like it's about time news I feel like I'm stuck in a windows or IOS platform waiting for Dell to release the update. What finally pushed you over the line the fact that 3.0 or gingerbread is coming… Don't get me wrong yeah I'm happy that your finally going to bring the update home to your own country but why not allow all access? I realize it has been so long awaited and you're worried about causing a 'Denial Of Service' but isn't that your own fault for taking so long, not ours the loyal customers why make us pay….. Whine… Whine… I know thanks Dell. Sorry you Amy have to take the brunt of this but it has been 4 months since I was able to finally buy my Streak in AM. and all we have been given is promises since that so far have all been broken. See me turning blue… I'll believe it when it actually allows me to down load it. Hi Dell moderators, we have 31 Dell pc's that were due for upgrade before December. Thanks to your over twitchy delete fingers we've decided to bypass Dell as our system provider and look elsewhere. Our account rep has been informed and we're forwarding our thoughts to your HQ. I may just be a pain to you, but I'm CEO where it matters. Yes, you can delete this too, keep your little forum all nice and biased. I have a question… my unit is unlocked when will the upgrade will be available?? 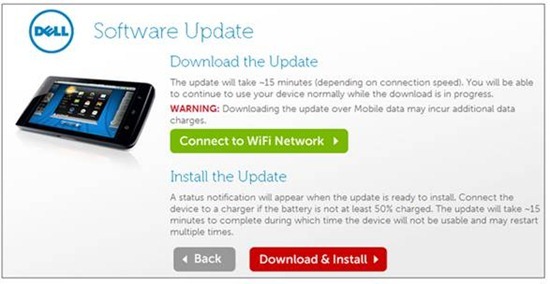 .. when I enter to settings–about device–system updates, I have an announcement that says :"no software updates available at this time"
I have found this link – mobileupdate.dell.com/…/index.html which seems to be the update page…. I have a locked O2 device? Can i just use this link without waiting. It seems to come up OK on my streak…. So no one actually have recived the update? When did Germany get the update to Froyo (unbranded device)? @The_Shedman The update will only work if you access the update server through the software update option in settings. Hopefully Amy can shed some light as to what is going on with this update as it seems like no one has gotten it yet. I am a UK owner of an unlocked Dell Streak bought from Dell website. From what I can read I am one of those who should be getting the update first. I have been checking for updates via the device settings – not via the download link – since I understand that the process will only work via the device. The update service checks for the version of the Streak and this is why you cannot just download from the Dell site. I am still getting the no update available dialogue, and this is two days after the launch. I don't beleive the update is actually available. I have not managed to find any references to anyone actually managing to update successfully. I received my Streak as a gift from my sister in London (unlocked version). I am currently residing in South Africa. Any idea as to when the update will reach me? Their is no update. Simple. No when or how, or will mine be updated, its unlocked, none of it matters. No update. For a company doing this massive of an update to go silent means, no update and they don't know how to spin it to customers yet. Hi Amy and thank you for keeping us up to date. I have a streak v 1.6…after the backup I'm downloading the update but the name of the file is" streak 309 11548 00.pkg" and not "update 6194 patch 5980.pkg" any way when it's finished I press update now the streak reboots and then I see an error massage " E:/ can't open sdcard/download/streak 309 11548 00 (bad)" affter a minut or two the streak starts like nothing happend the backup file is still there but no update!!!!!! what can I do??????? please help me?????????????? I bought a device without plan ( $549 ) is that an unlocked device ? I noticed that It came with an ATT sim card, i have no use for it. can i use another provider than ATT if i want to get 3G with it ? When is India Streak users getting the FroYo update? I would appreciate some dates for this process. Like in europe it will be ….. etc. And if i get it I should just wait till my streak tells me that he can make update is it right? or should i try system updates in the settings every day? the 2.2 update bricked my Streak. TechSupport was useless and now i have to wait 3 days for a new one to be delivered. Plus, I bought a screen protector for this one, so that's a waste of 10 dollars… so 3 days lost productivity and no screen protector and when i get the new one I still have to upgrade? Thanks for nothing Dell. So what about us customers in Canada with the Rogers-sold Dell Streak? Why are we being left in the dark? This process needs to go a lot more smoothly next time. "the 2.2 update bricked my Streak. TechSupport was useless and now i have to wait 3 days for a new one to be delivered. Plus, I bought a screen protector for this one, so that's a waste of 10 dollars… so 3 days lost productivity and no screen protector and when i get the new one I still have to upgrade? Thanks for nothing Dell." I live in Hong Kong and just bought a Dell Streak about 2 weeks ago. 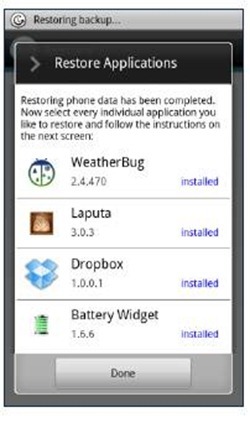 It is an unlocked version through one of the local carriers. I cannot upgrade to 2.2 from 2.1. When I clicked on the download and install as mentioned above, nothing happens. I even tried to use the system upgrade option on the unit, and I keep getting a runtime error (the servers cannot be connected) message. Can anyone help me, or direct me to someone who can? Thank you in advance for your suggestions/solutions. guys and gals i've got a problem… is just updated my streak to 2.2 but right now I can't play any music on it.. ive tried to restore a couple of times but that didnt help and ive tried to put the music on the SD card a couple of times.. but it doesnt help.. what to do? I am quite disappointed with Dell Mobile sync Nero comapred to earlier version of PC Suite. Cany you suggest me any third pary tool is avilable for PC suite , whre I can sync MS outlook 2010. I'm an O2 Streak user. Following notification of the available 2.2. update to my Streak this week I made many attempts to complete the first stage, i.e. 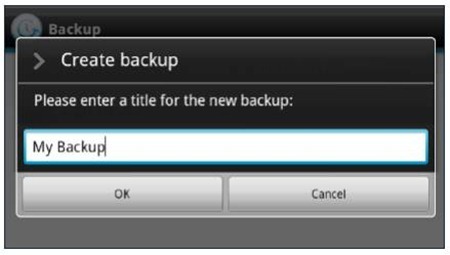 downloading the backup software with no success. However, the update downloaded and was duely installed. I now have a Strak which boots up to the Millieum Dome screen but goes not further. A factory reset leads to the same result. A few months ago, the device had to go to Hungary to get the 1.6 operating system going again. I'm now back in the same position – a useless Strak. You should add that after backing up and returning to the update window, you have to hit the button that says 'back' (rather than using the one on your browser) to get the option to download and install. May sound simple but it threw me and others too by the looks of the comments when you download the app. I purchased a Streak without a contract; ATT unlocked it so I could use during intl biz trips. When is the upgrade going to be available? Dec is almost gone! Dell should put more effort into keeping its word. i have a streak and its 12/29/10 and not update yet. what is going on? People! stop wasting your time, the update is going to happen whenever they feel like it, if it ever happens. Tney have already got our money in their pockets. As we have seen in the last couple of months, Dell true colors have came out and its very disappointing. It is just like paying ahead of time to a carpenter, and he takes his time to a finish the works, and then there are those like Dell that alread has the money and leaves you stranded. Also lets not forget, that Dell has a new project coming out, dell streak 7, which in my opinion, its a waste of time as well as the current streak with outdated software. I have not received and OTA update no matter what I do I check it every day with out fail on wifi or OTA. I am in ireland on a meteor carrier. Please advise as I am very dis heartened reading other peoples satisfaction eevry time I search for update news online. Feel free to contact me on my email listed with this account. I know that many customers like Arrachera, mikeyivan, flaco1978, Reviresco and others are waiting for details on when the update is going to happen. We continue to work with AT&T. The Froyo upgrade will not happen in January for US customers with SIM-locked Streaks. When we have more details to share on this topic, I will. This is really unacceptable, first we waited all through December 2010, now waiting until Jan 15, 2011 and now an indefinite "won't happen in January". How long has AT&T had this update? Support like this makes it very difficult to recommend Dell over other Android devices. Would it be possible to take care of your existing customers as well as trying to sell your latest device? How about a time certain so those of us considering an alternate route to Froyo could reach a decision? I was excited about the streak back in august until I heard it was running 1.6 so I held up. it was put off to December, then January 12, now not in January. The price has dropped twice, I have been checking for update for 3 months.I have been putting up with it shutting down whenever it feels like it, sometimes I can not get the screen to answer calls and other little things. I feel like I was tricked into getting this before it was ready and now too late to return. So we At&t folks are stuck till????? I just want to say I'm pretty dissapointed here. Over the last couple years I've constantly told people ust how good Dell Customer Service is. Now that I buy a Streak for a great price online with promises from Dell reps that the OTA update is right around the corner literally any day, I get my hopes up and then they are smashed with a simple post here saying no 2.2 for ATA&t in January. No sorry for the delay folks. No, we're offering you a great deal on a bluetooth headset or anything like they did for pre sale folks. No nothing. I think the worst so far is the callous post without apology from a Dell Rep "Lionel" on this thread. Dell you have our emails. How hard to send a mass apology for the delay? Maybe throw in a coupon or something? If At&t are the culprits for the delay then please put some heat on them and let them know how it is upsetting customers. We shouldn't have to google this topic in mid January just to see how much longer we have to wait for something we were told we'd have prior to Christmas. Please get on the ball for the sake of customers and your reputation. Thanks! I purchased an unlocked phone or rather payed for a unlocked phone of contract from the dell web site. I am not on ATT so I am in a different category. Please have the courtesy of responding either to this query or the 4 queries I sent directly o Amy. I am not with ATT nor have I ever been with ATT so why do I have to wait for ATT when it has nothing to do with me. Hope you're not all holding your breath waiting for the FROYO update for your AT&T locked Dell Streak. I just hung up with AT&T. First I called Dell, who told me they have the OTA update and are ready to release it but cannot as AT&T has once again delayed it. No one seems to know WHY, just that it has happened. So I called AT&T and worked my way 3 levels up the support chain to try and get an answer. Ultimately I was told that no one at AT&T could tell me when it would actually be released. Feeling rather incredulous over that answer, I actually asked "Are you telling me there is no one, in the entire corporate structure of AT&T, who can tell me when they're going to allow it to be released, and was told "That's correct". REALLY? When I told them I would have to consider switching carriers and going to someone who COULD support release it, they even offered to talk to billing to eliminate any penalties associated with my doing so. REALLY??? AT&T is obviously willing to sacrifice customers, or at the very least their customers good will rather than be straight with them. This is much the same as when I bought my first iPhone through them over two years ago. A major selling point for me at the time was that the device be able to tether to my laptop. "Well, it doesn't now, but with the new software release coming out next month it WILL be". Two and a half years later my iPhone still doesn't tether (UNLESS I'm willing to drop my unlimited data plan) and now they're doing the same thing with the FROYO release. Once again AT&T has decided to put the screws to their customers and has lied to us all. For the past three months, I have been calling Dell. I was transferred at least three times on average per call. A few days ago, I called back and was transferred to Mobile Tech Support. I finally reached a Dell Technical Rep who showed concern regarding my issue, but her department could not help me. I was afraid of being transferred and stuck in a transfer loop again, so he stayed with me while transferring me. She was with me until I got my problem resolved. One of the problems is that Dell does not have a Customer Care Department for Dell Streaks. While being transferred, I found out that the person who sold me the device didn’t really work for Dell. Dell uses a company call Ambergris Solutions as a call center for sales. So the person who sold me the phone was not trained by Dell at all and probably didn’t know what they were selling me. Being that this company was a third party company, they did not care about my issues. With the mobile tech support rep on the line, I called Dell again to simulate the process of ordering another Dell Streak in order to reach someone from Sales. This time I found a real Dell sales rep. I told him my problems and he was deeply concerned. Even though the device was more than 30 days, old they were able to refund my purchase and I ordered a new Dell Streak (unlocked version). My situation is different from most others, but I was able to resolve it. I’m a long time Dell customer and I had plans on buying more products from them, including a new gaming system. The two Dell employees I dealt with that day restored my faith in Dell. I only hope that all of you are able to resolve your issues. I know that it can be very difficult to control you emotions, but remember you get more bees with honey, than vinegar. The only thing I have to say to Dell is please fix your internal communication! And don’t ever trust AT&T. On a side note, I found out that Dell is no longer using AT&T as their company cellular carrier; if that is true, thank you Dell! I just got finished with a three-hour trek through AT&T and through indomitable perseverance I was finally connected with the first person I have ever met who had something more useful than "I don't know, and I can't connect you to anyone who knows". This very nice and knowledgeable lady, let's call her Jennifer, actually treated me like a person and explained that because Froyo allows tethering, and AT&T charges extra for tehtering, the issue exists in finding a way to disable the ability to create a wireless hotspot, but make it avaible for immediate remote activation should the customer choose to buy it. It was very frustrating to me that I couldn't find this information in any Dell thread, and it just so happened that I stumbled upon a professional after getting the run-around for such a long time. Dell has been less than stellar in terms of cutomer service before, but nothing on this level, and I truly feel brushed off and ignored. I should clarify- I called both AT&T and Dell several times today, but the person that helped me was with Dell. AT&T has never, ever satisfied my customer service needs. No Gingerbread, No video call and no accessories. I have got two of these and not very satisfied with this. However I will still go by the pros first. The built quality is good and has nearly all the features. But there is no inbuilt video calling feature and the Android upgrade from Dell comes an year late. Android 2.2.2 was launched somewhere in June 2010 and was launched for Streak an year later. Dell has not been able to give video calling feature which is a very basic functionality. Comes in other smart phones from years. They do not supply accessories to India. They cannot even upgrade to Gingerbread which is very common in nearly all cell phones. So I had a problem with my streak since being updated from the 1.6 to the 2.2 and now it resets itself on it's own…I did the updated connected to a fully charge battery and a wifi connection, and now that it's having issues with the 2.2 and I called for support they tell me I have to renew my warranty! not happy I told them they must be DELLirious for me to pay 250.00 when it was their update that caused the issue. I'll keep this experience in mind when I'm not pushing dell on people like I used to. Not happy that I have a big chunk of android amazingness just sitting in my desk resetting itself when it wants to, then it comes back to the dell logo and hang. Wish someone would stand behind their product and it's UPDATES. Not looking to make money but be proud to sell a product that works and stand behind it even when it's their issued update that is supposed to make it a better experience and not a worst experience. Chamo4u2, sorry to hear you weren't able to get assistance on this issue. Please reach out to my team on Twitter @Dellcares with your service tag and email so we can look into this for you. Hi Amy B! We will never see Gingerbread or Ice cream sandwich on Streak 5? Last week, Dell unveiled a new smartphone in Japan with Gingerbread and also updated the tablet Streak 7 to Honeycomb 3.2. Why not so with the Streak 5?Smartphones older and less able have received updates from your mark! Samsung, HTC, including Sony Ericsson, which said it would not, corrected to support its customers and smartphones have their updated! Why Dell does not care for your customers?Please tell me. I am thinking about upgrading my iphone 4 to a Dell Streak 5. Am I making a mistake or is this a good idea. My iphone 4 takes wonderful pictures and fantastic video. However, I want a change in phone just hate getting ride of something good I know I have so I need some ideas. Am I making a mistake in getting the Dell Streak 5 or is this a really good phone? Thank You for taking the time to read my comment.